That is a medic-alert bracelet. 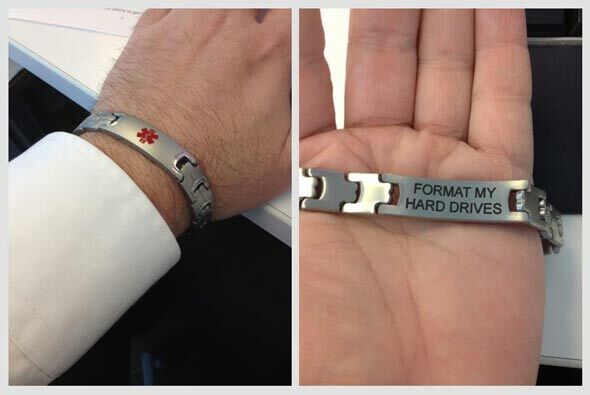 You know, the bracelet that notifies paramedics of any important medical information regarding the person. Apparently the person in the above image needs his hard drives formatted.